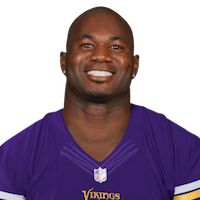 Published: Sept. 30, 2016 at 05:16 p.m.
Minnesota Vikings defensive back Terence Newman intercepts QB Cam Newton. Published: Nov. 29, 2015 at 02:57 p.m.
Atlanta Falcons quarterback Matt Ryan throws an interception in the end zone to Minnesota Vikings safety Terence Newman. Published: Nov. 15, 2015 at 07:05 p.m.
Minnesota Vikings defensive back Terence Newman picks off Oakland Raiders quarterback Derek Carr for Newman's second interception of the game in their Week 10 matchup. Raiders Derek Carr picked off by Vikings Terence Newman.